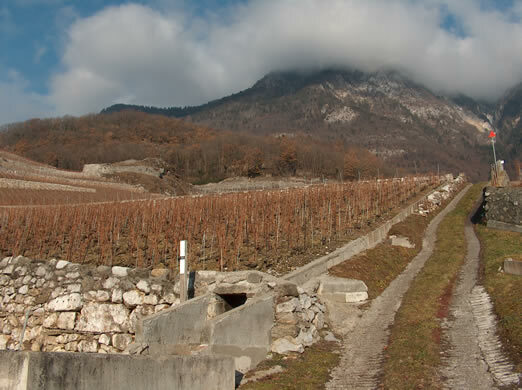 As I mentioned earlier in this series, the Mémoire des Vins Suisses (MDVS) is a group of 25 of Switzerland’s top wine producers who have chosen to collaborate in organized tastings each year, where along with current releases, a museum stock of older vintages (the mémoire) will be built up and tasted critically. On the Saturday morning Sam Harrop and I visited Domaine Louis Bovard while the Mémoire organization were holding their Annual General Meeting. Later we joined them for a tasting of the current releases of the 25 wines that had been presented at the previous day's tasting (see here), one from each producer. 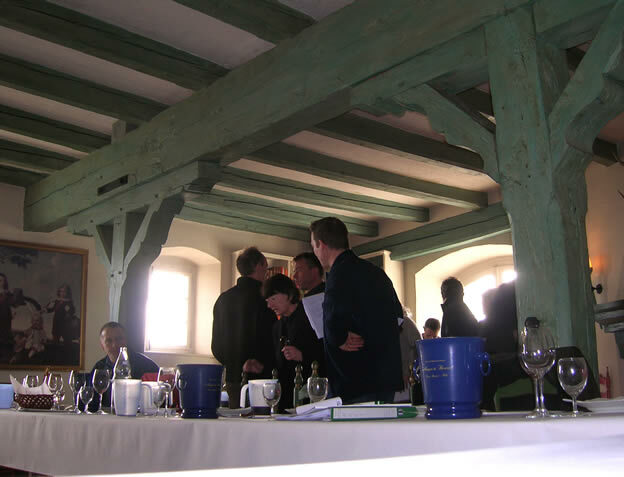 The wines showed pretty well, even considering the competition from the slightly smoky open fire that was burning in the spectacular old farmhouse room we were tasting in (below). As you'll see from the scores (which, as ever, should not be taken too seriously) there was a remarkably consistent high standard to all the wines, with some really shining. Swiss wines are definitely underappreciated outside Switzerland. 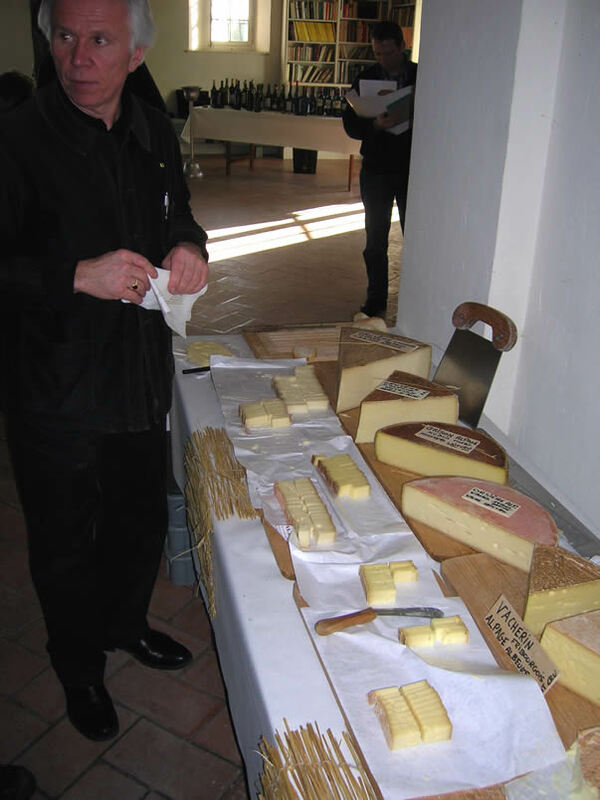 After the tasting, we had a presentation from an affineur (above), showing his cheeses, including a remarkable 36 month old cave-aged Gruyere. We then dined very well on Saucisse aux chouk Vaudoisse.